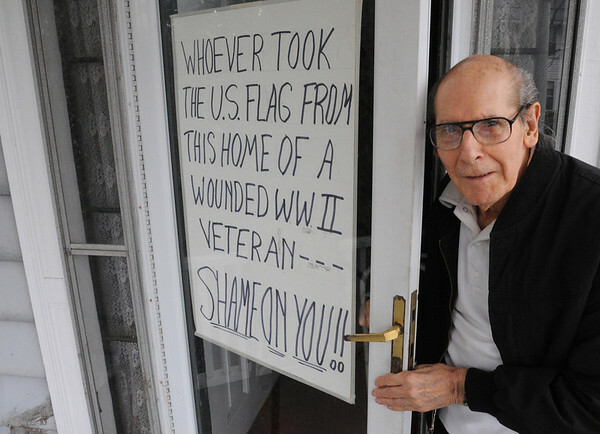 World War II veteran Joseph Quattrochi had his American flag stolen. He has flown a flag on his front porch since he moved into his house 42 years ago, but it was stolen two weeks ago. He has written a large sign saying "Shame on You!!" and taped it to his front door. Photo by Ken Yuszkus/Salem News, Thursday, November 4, 2010.